Delivered in 2011, the Bill Dixon designed motor yacht HARVEST MOON, was built by Pearl Motor Yachts of the United Kingdom. 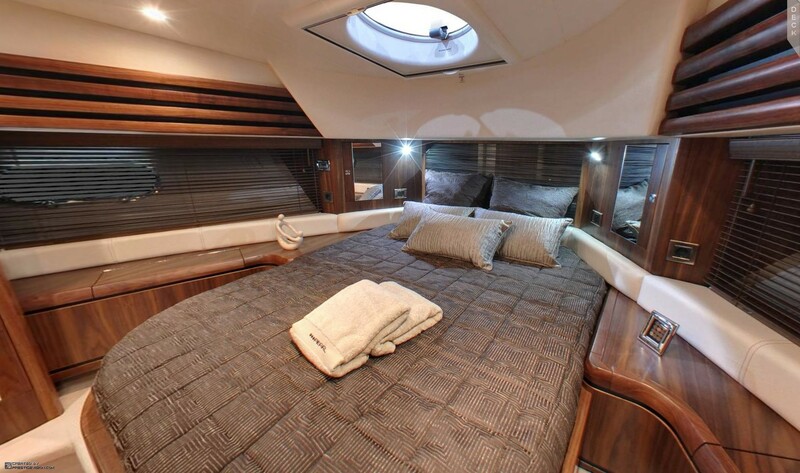 Measuring 17.95m (58.11ft), yacht HARVEST MOON offers spacious accommodation for up to 6 charter guests in 3 cabins. HARVEST MOON is the perfect choice for families or small groups. 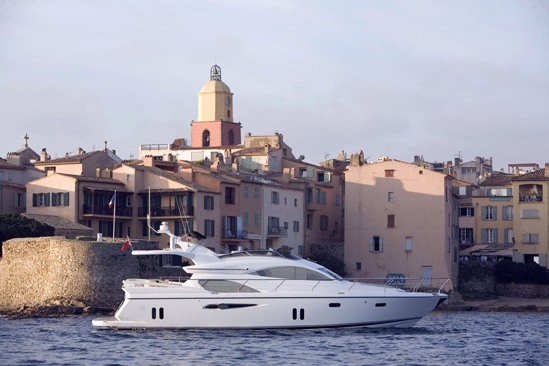 The yacht has a dedicated crew of 2 and is available in the desirable West Mediterranean. 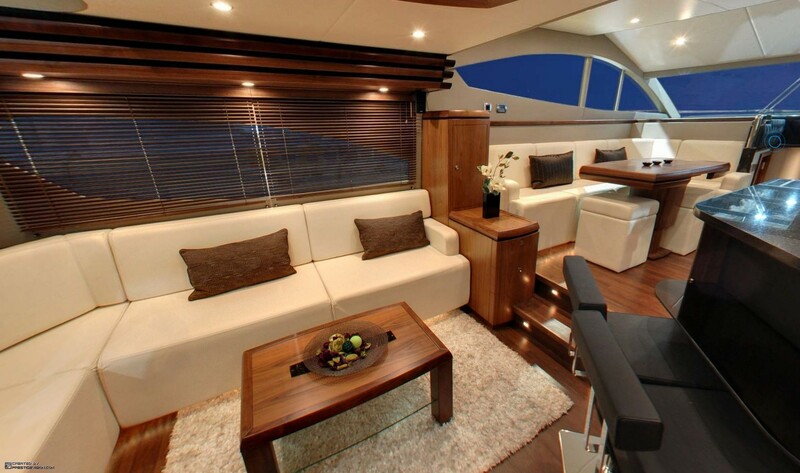 M/Y HARVEST MOON features a contemporary, stylish interior, created by Evans K Marshall. The salon is light and airy, with warm woods and neutral soft furnishings. Modern amenities and high-quality finishes, bring an added elegance. The salon is aft and offers a comfortable sofa, seating and coffee table, with full entertainment systems opposite. 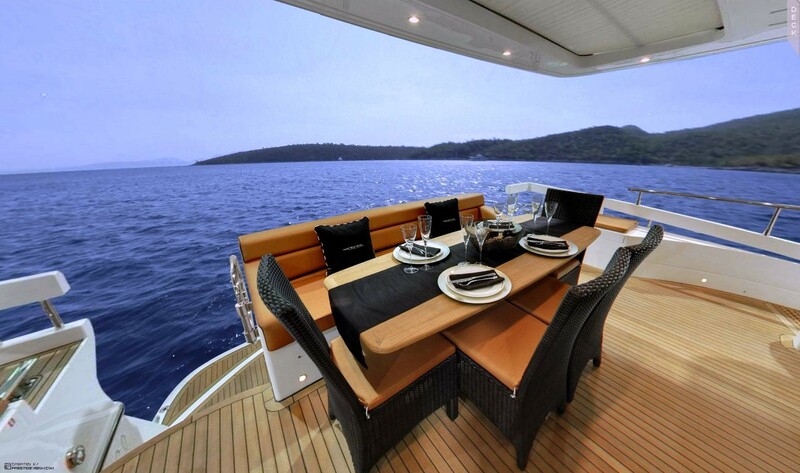 Forward, the formal dining table is on the port side, with the full-service galley to starboard. A well-appointed marble-topped wet bar boasts fitted stools, ideal for an evening aperitif. Aboard the crewed charter yacht HARVEST MOON, guests have ample exterior living areas, whether seeking sun, shade, socializing or solitude. 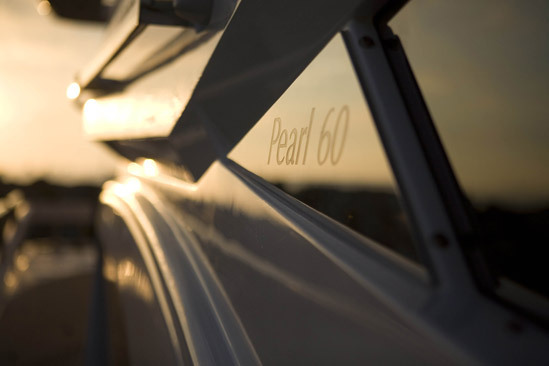 The aft deck has an alfresco dining option, seating, a retractable sunroof and easy access to the extended swim platform. 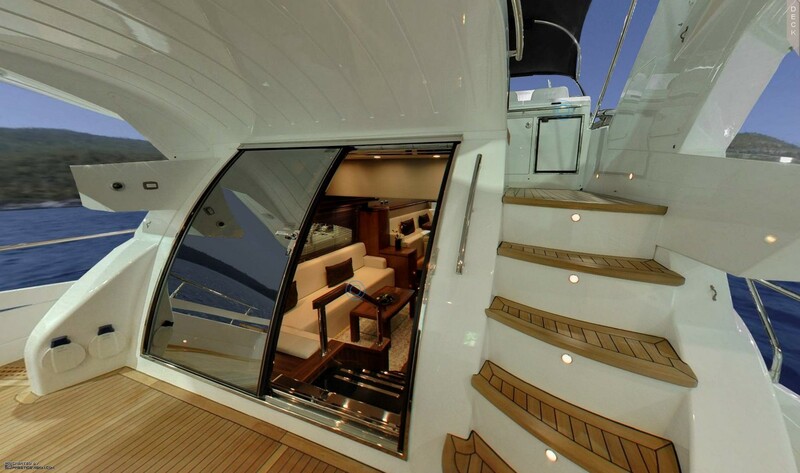 The main deck wraps around the yacht, leading to an ample space forward for sunning. 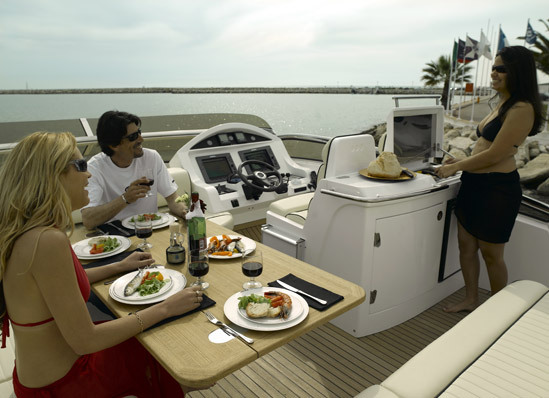 Above, the flybridge features an alfresco dining option, seating and BBQ service station. 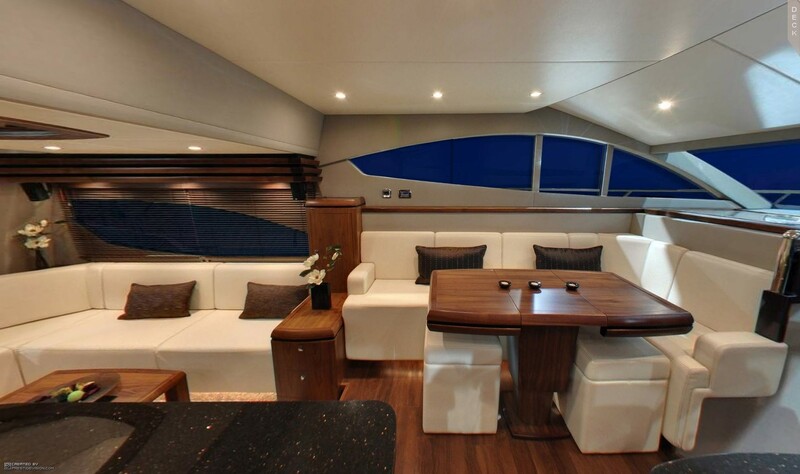 Motor yacht HARVEST MOON has a sleek planing hull, with a draft of only 1.5m (4.11ft). 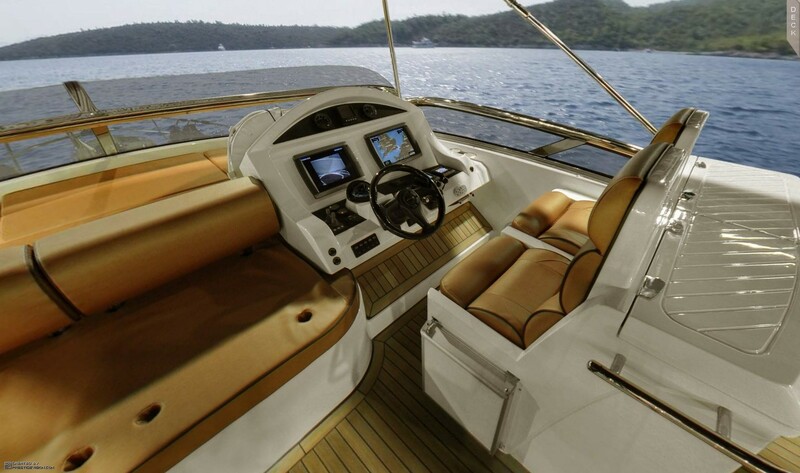 The yachts 2 x 800hp engines are capable of 25 – 32 knots. 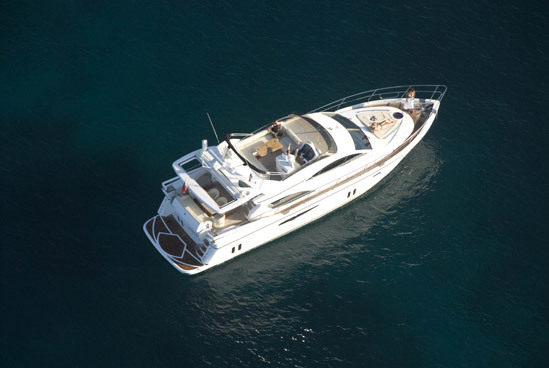 The HARVEST MOON motor yacht can accommodate up to 6 charter guests in 3 generous cabins. 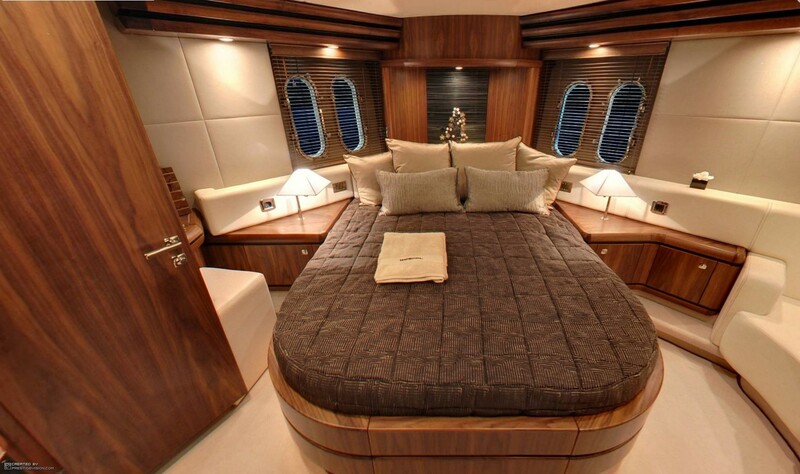 The master suite is aft and full beam of the yacht, with a double bed, love seat and vanity. 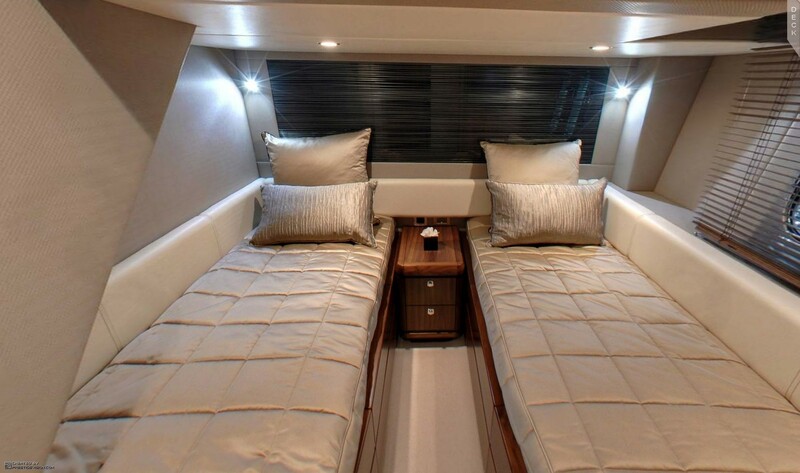 Forward and full beam of the yacht, is the VIP cabin, with a center lined double bed. A guest cabin offers twin side by side beds. 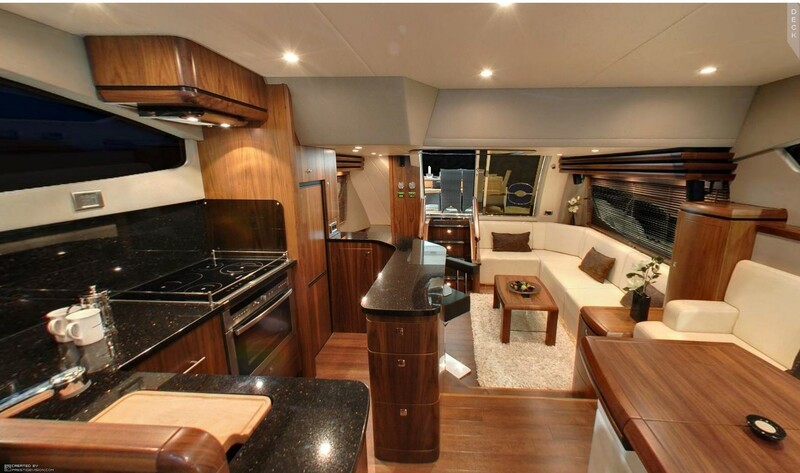 All 3 cabins are fully air conditioned and offer TV entertainment.